UPDATE: The Vine service has been discontinued but we've left the information below for archive purposes. See our What Was Vine? for more on this popular video sharing app. 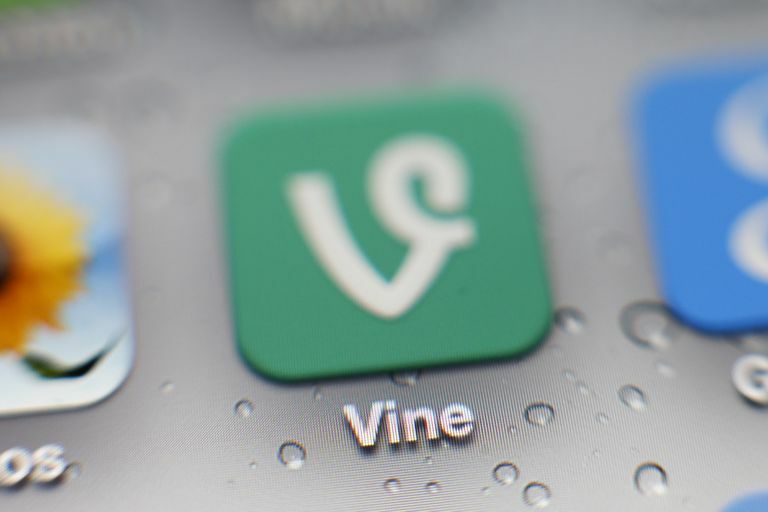 If you never knew about Vine while it was still running, you unfortunately missed out on a lot of great videos that were made for people with ridiculously short attention spans. That's right—with Vine, there was no need to sit through even seven seconds of a video since Vine videos were just six seconds long. Believe it or not, the biggest and most popular Vine users (most of whom were young teens and 20-somethings) were able to attract millions of followers and participate in lucrative advertising campaigns. They were all doing what they loved on a full-time basis, charging five-figure amounts for a single advertisement from brands that were eager to sponsor them. And it proved that internet fame and celeb status wasn't just for the top YouTubers anymore. So, who were these Vine stars anyway? And were their videos even that good? You'd have to search for them in the Vine.co archive (while you still can) to decide. Despite the fact that a Vine video was over in a mere few seconds before it started looping from the start automatically, some of the top users claimed that a single video could take hours to film and edit if they wanted it to be the absolute best. Here are just 25 huge Viners who turned themselves into some of the biggest and most influential social media stars you can still find out there today killing it on other social networks like YouTube and Instagram now that Vine is gone. KingBach (or Andrew King Bachelor) was currently the biggest Viner on the video sharing network with almost 15 million followers. Along with reigning over Vine back in the day, Bachelor is also an actor who worked with several big name celebs, starring in roles for a variety of TV shows including House of Lies, MTV2's Wild 'N Out, Black Jesus, The Mindy Project and Punk'd. He was introduced to Vine in 2013 by another big Vine star, Brittany Furlan, and nearly deleted one of the Vine videos that helped propel his fame. Nash Grier was apparently every teenage girl's dream boy, having attracted over 12 million Vine followers and spread to practically every corner of the social media world (and even parts of the mainstream media). He appeared on Good Morning America, The View, Fox News and recently earned an acting spot in a movie. Although his Vine videos seemed totally random, he claimed to carefully plan and script them–sometimes refilming them several times over and spending hours editing them to perfection. Today, he has millions of subscribers on YouTube and other popular social networks too. Known for her hilarious, ultra-exaggerated Vine videos, Lele Pons attracted a whopping 10 million followers and was the most followed female Viner. Like many other big Viners, she's been known to do some pretty crazy stuff for her Vines (like jumping off a bridge). A lot of her Vine videos featured her pulling pranks on other people and making jokes about herself. She was one big Viner who you could often see teaming up with other big Viners to join them in their videos and to star in her own. Brittany Furlan was another top female Viner with around 10 million followers. She's one internet personality who knew how to get wildly creative and hilarious with her comedy sketches both on Vine and on her YouTube channel. Named as one of the most influential people online by Time magazine, Furlan tried to break into the acting industry before she really hit it off with her fame on Vine. In 2014, she won the Viner of the Year at the Streamy Awards. Having over eight million Vine followers, Jerome Jarre was another smiling face to see at the top of the list—often referred to as "that French guy." After creating an account on Vine shortly after it launched back in 2013, he attracted 20,000 followers during the first six months before skyrocketing to over a million after the Ellen DeGeneres Show featured him. He eventually got so big that he was offered a $1 million brand endorsement deal, which he ended up turning down because it wasn't the message he wanted to give to his followers. Rudy Mancuso was a total pro at sharing comedic Vine videos inspired by his Hispanic background and occasional multi-instrumental music talent to his 10 million Vine followers. Oh, and did we forget to mention that he was (and still probably is) good friends with Justin Bieber? Yup. Every once in a while, one of his Vines would randomly feature the Biebs. Mancuso also ran a little side Vine account called Awkward Puppets that has over two million followers. Having nine million followers, Logan Paul was another huge Viner who actually lived in the same LA apartment building as five other top Viners (including KingBach). They all teamed up frequently to star in each other's videos and as a result, helped each other get bigger and bigger on Vine. A journalist from Tech Insider spent a few days hanging out with Paul and some other bigger Viners, revealing what it was like to live a life of Vine stardom. He also has a brother, Jake Paul, who frequently starred in his Vine videos and had nearly five million followers of his own. Taking an interest in acting at just 11 years old, Brent Rivera started his YouTube channel in 2009 and then, of course, his Vine channel in 2013 when it launched, taking the now 18-year-old teen comedian to a whole new level of internet fame. Rivera's acting skills showed through his hilarious Vine videos, many of which he often got his own family members, teachers and classmates to star in as well. You had to be ready to laugh when you followed his channel. Speaking of comedic masterminds of Vine, Christian DelGrosso was another must-follow Viner back when the app was still around. Having dreams of becoming an actor, he signed up for Vine when it first came out and worked as hard as he could at putting out a video every day. Within a month of posting his first Vine, he had gained 10,000 followers. Later, he gained over seven million followers and completely perfected his own unique style of comedic quirkiness, often collaborating with other big Viners as well. And yup, he has a YouTube channel too. While Brandon Calvillo's Vine videos may be considered extremely funny and creative, they were also often quite vulgar. Regardless, his hard work paid off, eventually helping earn him over 5.5 million Vine followers. If you like the type of comedy that involves a lot of cursing and insulting, then you might've also liked his channel. It wasn't for everyone, but hey, everyone has their own preferences and taste in sense of humor. He frequently teamed up with Jason Nash in his videos, who was another popular Viner with over two million followers. When you watched David Lopez's Vine videos, you immediately sawjust how much creative effort went into them. One of the unique things about Lopez's videos was that he had this hilarious Hispanic alter-ego character named Juan who he uses in his videos to emphasize his comedy. Despite having over six million followers on Vine, he totally rocked it on his YouTube channel too, putting in just as much creative effort (if not more) into his longer comedy videos. AlliCattt just so happened to be BFFs with Lele Pons, at least during the days that Vine was still around, but she had an infectious energy and an amazing Vine style that was all her own. She originally created a Vine account so she could follow Tyler the Creator, her crush at the time. From her funny parodies to her embarrassingly accurate relatable sketches, she mastered the art of entertaining her four million followers on Vine and the hundreds of thousands of subscribers she has on her YouTube channel. Gabrielle Hanna of "The Gabbie Show" is a popular YouTuber and was a top Viner who posted fresh, creative content all the time. Her Vine videos were both original and hilarious, and she never hesitated to poke fun at herself if it meant it wouldl make her audience laugh. With over four million followers, her Vine bio read, "I'm kinda funny for a girl." Her comedic acting skills definitely proved it! Brandon Bowen was one Viner who never lets the "haters" get to him! In 2014, he uploaded a hilariously simple Vine video featuring just himself with two plastic spoons covering his eyes, telling everyone he "was too busy ​mmmmblockin' out the haters." It was one of his most popular Vine videos that eventually helped him attract over three million followers. It doesn't end there, though. Bowen continued to upload funny videos on Vine and YouTube while often collaborating with other big Viners in their videos as well. Known as the first family of Vine, the Eh Bee family captured the quirky essence of modern family life almost perfectly and attracted almost three million followers while doing it. Whether it involved trying to get the kids off their devices and outside or struggling to say the right thing to the wife (Mama Bee) and screwing it up in the process, their Vine channel was one of the most unique, funny and creative that you could follow. You really felt like part of the family after watching just a few of their Vine videos. Today, they're over seven million subscribers strong on YouTube! QPark was another charismatic genius of Vine who often used exaggerated comedy to really make his videos stand out. In addition to that, he was known to go out in very random, busy public places in New York City to play pranks on people for the sole purpose of entertaining his three million followers. AllKPop Buzz has a great interview with QPark that you can read here, which details everything about his Vine journey, including how he started out and his goal of changing people's perception of Korean-Americans. Are you a fan of watching videos with crazy special effects? Then Zach King's Vine channel was a must-follow during the days of Vine. His professional editing skills coupled with his creative concepts could blow you away. King had 3.8 million followers on Vine and over one million on his YouTube channel, FinalCutKing. At the 2014 Streamy Awards, he won the award for Best Vine Creativity. Having three million followers, Darius Benson knew exactly how to craft a clever, funny sketch that appealed to the Vine community. He was another big Viner who had been known to work together with other Viners in videos, although many of his videos simply featured himself playing two different characters. Like other big Viners, he has a large presence on other social networks and works hard to create longer videos on his YouTube channel. ​Daz_Black was a Viner from the UK who hads some of the most hilarious and random videos you'd ever seen. From overly exaggerated Kim Kardashian impressions to rants about super relatable situations, he knew how to make it ridiculous in just the right way when it comes to entertaining his three million followers. You could also see him collaborating with other big Viners from the UK and running his popular gaming channel on YouTube. Her Vine bio said it all: "I'm older than I sound." Meghan McCarthy was best known for her distinct voice on Vine, which could easily be mistaken for coming from a four-year-old. Sometimes she'd dub her own voice over a video clip of someone talking (like Kanye West, for example) in a very serious situation for comedic effect. With over three million followers and nearly one million subscribers on YouTube, she definitely knew how to entertain! If you loved the idea of Zach King's Vine channel, you'd have probably loved Danny Gonzalez's channel too. While his style as more quirky and comedic, he clearly knew his way around professional video editing software. And his sketches were some of the most original and creative that you could find on Vine. He had two million followers and occasionally posts longer sketches with fun effects on his YouTube channel. Jay Versace used his extremely random, imaginative comedic talent to grow his Vine channel to 2.8 million Vine followers relatively quickly. His persistence and support for other Viners by re-vining their videos helped him increase his follower count by 400,000 followers within the span of a single month. Many of his Vines consisted of himself playing several different characters, and he often placed various objects on his head to help viewers tell the characters apart from each other. No, he's not a dog, although the dog was the only one whose face was ever shown in his videos. Trench was the stage name of this wildly talented fingerstyle guitarist, harpist and multi-instrumentalist who regularly played covers of popular songs alongside his adorable dog named Maple. One of his most viral Vine videos involved Maple playing the cowbell while he played the guitar, helping him reach nearly two million followers today. Maple even had a Vine channel of her own. Jus Reign didn't post Vine videos quite as often as some of the other big Viners on this list, but when he did, they were gold. He's a popular YouTuber who makes the silliest, craziest videos while innocently poking fun at his own Indian background. When it came to Vine, he took a similar approach to others by playing different characters in the same scene and using random objects to distinguish among them. His fake Indian accent and exaggerated jokes helped him get to 1.3 million followers. BigCatDerek worked as the operations director at the Center for Animal Research and Education (CARE) in Texas. He filmed a lot of funny and super cute videos of the big cats that lived at the center including lions, tigers, cougars, panthers, bobcats and more... with a random llama cameo here and there! If you loved animals, BigCatDerek was a must-follow. He had over one million followers on Vine, and best of all, everything he and his team did at CARE was all in support of animal rights, research and education. And yes, he's also on YouTube!